Tides exert a strong force on life at St Joseph Atoll, driving the movements and behaviour of its marine and terrestrial creatures. 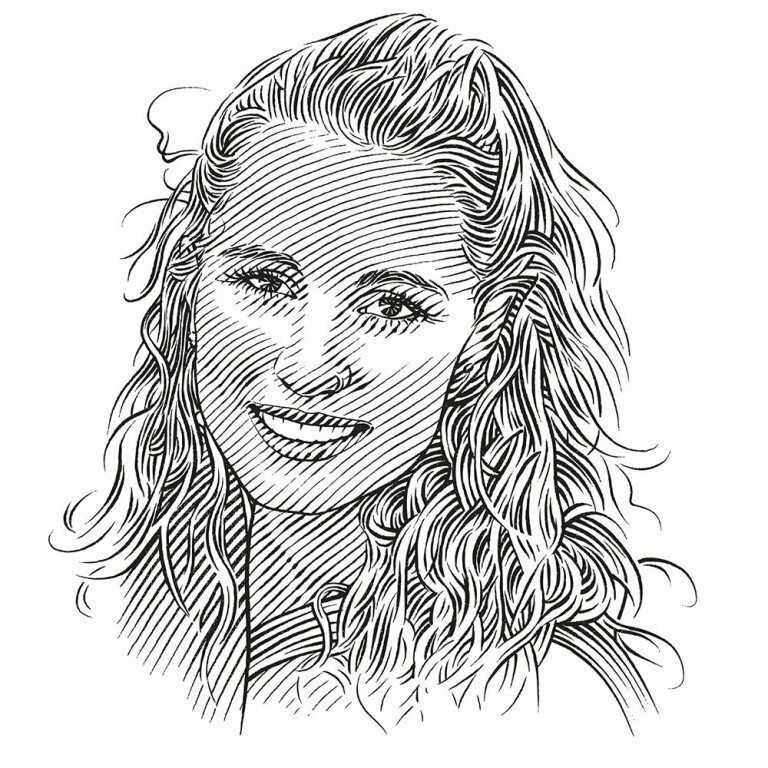 Ornella Weideli tells us how she’s exploring the effect of the tides on the atoll’s sharks. At St Joseph Atoll, sicklefin lemon sharks and blacktip reef sharks, like this one, must survive and thrive in the ebb and flow of the atoll’s extreme tides. One of the first interesting facts that staff at the Save Our Seas Foundation D’Arros Research Centre told me about the adjacent St Joseph Atoll was that the whole atoll ecosystem is immensely affected by the continuous change of the tides. Before working at St Joseph, the study site for my PhD project, I didn’t quite understand the full meaning of what they were saying. But now I’ve spent four months on the remote atoll, catching juvenile blacktip reef sharks Carcharhinus melanopterus and sicklefin lemon sharks Negaprion acutidens for my project, and I not only understand what they meant, but have even learned to use the changing tides in my favour. St Joseph Atoll is subject to the patterns of a mixed semi-diurnal tidal cycle, which means that the magnitude of the high and low tides differs throughout the month, depending on the lunar cycle. Extreme high and low tides, called spring tides, occur around full and new moon, while moderate tides, called neap tides, occur around half moon. Therefore the appearance of St Joseph Atoll changes completely from one extreme to the other within a single month. At spring low tide, large sections of the reef flats are exposed to the heat of the day and transform into a hot, desert-like habitat. At spring high tide, the atoll fills completely with water and nearly disappears into the surrounding ocean. Also, the lagoon’s colour changes with the large amount of water that enters from the surrounding ocean, transforming from bluish turquoise to a much darker greenish colour. Animals that live at St Joseph Atoll have adapted to these extreme changes in their environment by using different feeding strategies and foraging grounds at different tidal stages. At low tide, while my field team and I are struggling to drag our kayaks through the atoll’s shallow waters, we suddenly see seabirds all around us. They are feeding on worms and other creatures hidden in the freshly exposed and still-wet sand flats. However on an incoming spring high tide, the inflowing water quickly fills this exact same place and transforms it into a feeding ground for predatory fish and adult and sub-adult reef sharks. This hectic aggregation of foraging fish quickly turns the water into a murky soup to the extent that we are unable to see the substrate below us. PhD candidate Ornella Weideli is setting the nets to capture juvenile Sharks in the St Joseph Atoll, Seychelles. The juvenile shark population at St Joseph Atoll had never been assessed before, so one of my first tasks when I arrived at the atoll in November 2014 was to locate these animals. I quickly realised that it is not only the seabirds and large sharks that are influenced by the tides, but the new-born sharks too. With the help of my GPS device and precise tidal observations, I discovered that at specific tidal stages in certain areas, I am much more likely to find and catch juvenile sharks. As my first study objective is to understand at a very localised level which habitats are used by these juvenile sharks and when, I’m tracking them manually to observe the behaviour of individuals. So far we have followed more than 20 individual sharks over several hours in kayaks, constantly recording GPS coordinates, temperature, depths, behaviour and potential encounters with other sharks. During these long days in the field, I wasn’t surprised to discover that the movements of both of my study species are highly impacted by the dynamic changes of the tides. At low tide, while seabirds find buried food in the newly exposed sand banks, the extent of the young sharks’ favoured habitat (shallow water 30 to 50 centimetres deep) decreases and they are forced to move to other parts of the atoll where water still covers the substrate. In contrast, at high tide, large areas of the atoll are now available to the young sharks, but these areas must be shared with other animals. Large predatory fish and adult and sub-adult sharks make use of the high tide to enter the atoll’s flats to forage for prey. Every so often, we see the dorsal fin of a sub-adult lemon shark slicing elegantly through the water as the shark patrols the mangrove-fringed shoreline in search of food. Like the seabirds, these predators are benefiting from the newly available foraging habitats and they sometimes even enter small channels within the dense mangrove forests to look for hidden prey. While watching the lemon sharks foraging, we inwardly hope that they don’t cross paths with our juveniles. PhD candidate Ornella Weideli releasing a juvenile blacktip Shark. One of my favourite discoveries so far while actively tracking juvenile sharks is the existence of what I call ‘secret’ spots in the atoll. I wouldn’t have been aware of these places if I hadn’t personally followed the sharks’ daily small-scale movements. These secret spots are specific elevations in the atoll that are normally exposed to air and only covered by water during extreme spring high tides, when the water level reaches its maximum height. I believe that under these extreme conditions these elevation spots serve as shallow-water refuges for juvenile sharks, an assumption that the large numbers of young sharks that I usually find in these places seem to confirm. As I always have my GPS with me, I quickly save the coordinates of a newly found spot and make a plan to return to this hidden sanctuary at spring high tide. The combination of methodical field work and understanding the ecology of my study habitat has contributed immensely to the substantial progress of my study and has made me realise how important it is to observe carefully and interpret the surrounding environment. As marine biologists, we enjoy the privilege of working outside in nature; we need to also think outside of our scientific objectives and deadlines and learn to understand the surrounding world. Doing so can help us not only to answer our scientific questions, but also to open the public’s eyes to the wonders of the marine realm.